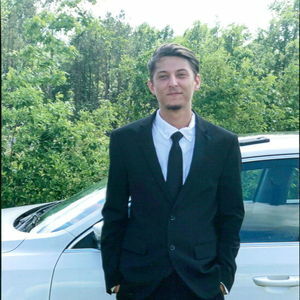 Chance Parker Saxon, 20, of Bladenboro passed away on Saturday, April 6, 2019. He was preceded in death by his paternal grandparents: Maxie James and Janice Saxon; two uncles, Deary Jason Fowler; Micheal Shearer and his aunt Trudie Powers. Chance leaves behind his father: Maxie Saxon of Tennessee; his mother: Jeannie Powers and husband Tommy of the home; paternal grandparents: Kenneth and Deborah Powers of Bladenboro; maternal grandparents: Deary and Carol Fowler of Chadbourn; two brothers: Preston Saxon (Mikayla) and Brandon Powers, both of the home; one sister Ashley Powers of the home; one niece: Chloe Adams, girlfriend: Claire Smith, several aunts, uncles and cousins and his furry pal: Rosie. The family will receive friends from 6-8 pm on Thursday, April 11th at Bladen Gaskins Funeral Home in Elizabethtown. A funeral service will be held at 2 pm on Friday, April 12th at Grace Baptist Church in Bladenboro officiated by Rev. Arthur Smith. Burial will follow the services in the Hogwallow Cemetery in Bladenboro. Add your thoughts, prayers or a condolence to Chance's guestbook.